I picked a weird combination this month. The last song by Nicholas Sparks and Before the Fall by Noah Hawley. The only thing they have in common is the ocean and the contemporary style of writing. 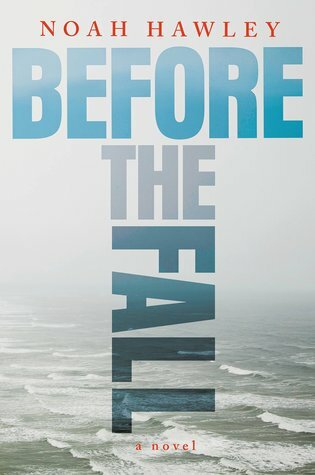 I started with Before the Fall and I was super into it at the beginning when the author was telling about the plane crash and how the old man swam to shore with a four year old in his arms. After that I was board. Three quarters of the book explained what happened after they were saved. It wasn't really my cup of tea. Everyone has heard of Nicholas Sparks and to tell you the truth, I can't usually stand any movie that has his name on it. I hated the notebook, a walk to remember was ok. Dear John, ehh. 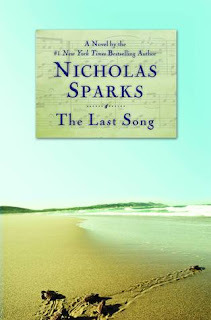 I did watch the last song, it was ok, but this book was really good. I wish I hadn't know how the book would end because I would have loved to have the surprise. I wouldn't recommend Before the fall because it was not my cup of tea, but if you want a touching summer read, go for Nicholas Sparks.